Welcome to the Handprint the Alphabet series for kids! We’re looking to learn and get creative with our preschoolers this summer. Today is letter “F.” While there are lots of objects we could do, today, “F” is for something that all men/boys in our family seem to be obsessed with- Fire! Today’s project involves painting the entire hand, as well as a little bit of artwork. Older kids may enjoy pitching in and completing the fire pit portion of the craft. 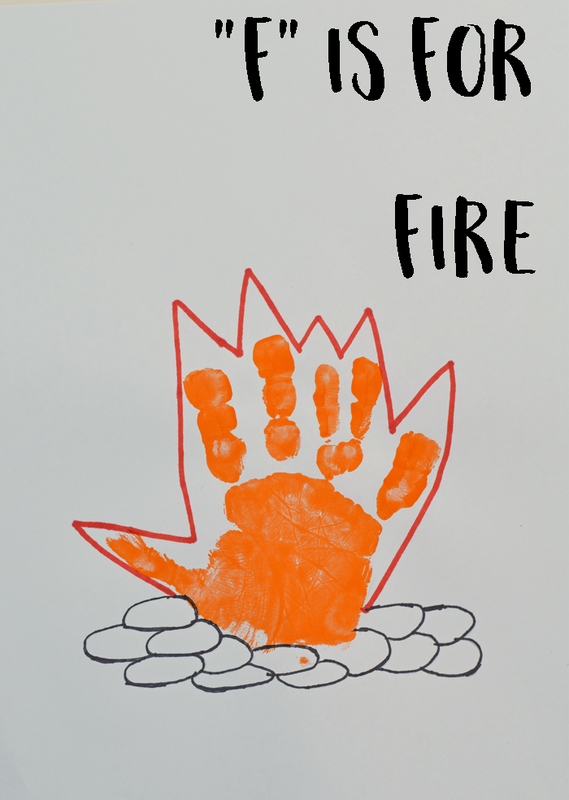 Be sure to pop over and check out my Tips for Great Handprint Art with Kids post if you’ve never done handprint art with preschoolers before. I share a few pointers plus my go-to supplies! Apply a thick coat of paint on the child’s entire hand. Press the hand in the center of the paper. Let the paint dry completely. 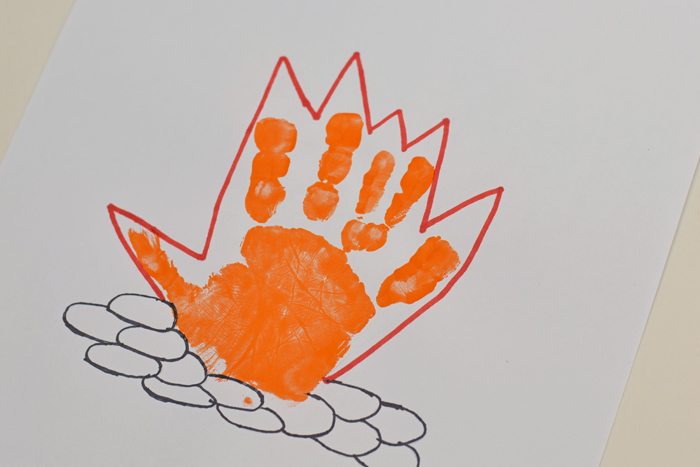 Use the red colored pencil or marker to draw flames around the fingers. With the black colored pencil or marker, draw stones around the fire to resemble a fire pit. If you need help with freehand drawing like I do, use the regular pencil to draw the stones first before using the marker or colored pencil. Thanks for following along, and I’ll see you back tomorrow with the letter “F!” I’d love to hear if you are joining in on the series with your kiddo. Feel free to post photos on my Facebook wall or tag me on Instagram!